Qualcomm Snapdragon cpu's. Ever wondered what CPU your phone is running? I did some time ago and decided to do some research on this fairly new computer technology. I found that a Company called, Qualcomm are very busy in the mobile market. They call their mobile CPU's, Snapdragon, and it can be found in many a mobile phone today. 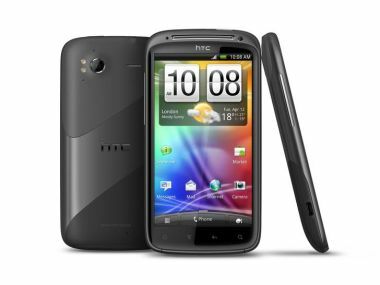 The new HTC Sensation, for instance, uses the 1.2Ghz dual core version of their CPU. It's code named the Scorpion. Dual core in a mobile phone, that's crazy! The mobile phone is fast becoming like a laptop or Netbook. Qualcomm is already looking at faster CPU's. They are looking at over 2Ghz capability, with dual core processing power. This is great news for us consumers. I have been looking at smartphones to replace some of the stuff that I do on my laptop for a while now. While I still need my laptop to do my day to day work at customers, I want to able to browse and do some work quickly without lugging my laptop out of it's bag, starting it up and connecting to my ISP. Then only can I start to work. Yes I know, just about every mobile phone out there can do it. I tried with those little screens and I just don't seem to get the hang of it. The screens are just to small for me to do some real work on them. HTC's Sensation, is perfect for that. It contains a 4.3" touch screen plus it run's a 1.2Ghz dual core snapdragon CPU. This will make working on my phone easier. Let's talk about the Qualcomm Snapdragon 's a bit more. Their latest CPU's are code named Scorpion and boasts either single or dual core CPU's with speeds up to 1.5 Ghz. It's supports Android, Chrome, Blackberry, and Windows Phone operating systems. Scorpion CPUs are highly optimized for mobile applications and because of this manufacturers can easily design mobile devices that run on Snapdragon processors. The Scorpion CPU has a Adreno 220 dedicated 2D engine and runs, OpenGL ES 1.1, OpenGL ES 2.0, Direct3D 9.0c, GDI, OpenVG1.1, SVG Tiny 1.2. This is also known as the GPU or Graphics Processing Unit of a processor. The Snapdragon processor also includes a sophisticated multimedia sub-system that has a broad list of supported audio/video codec’s. It also sports a very capable modem technology for high-speed mobile broadband. Quite an impressive list. But what does it really all mean? With all this new computer technology built into a mobile cpu, you can browse the net faster, watch movies on your phone in HD (High Definition), play games and even do some work on your phone. Qualcomm also uses their snapdragon CPU's in other mobile computing devices such as tablets. The HTC flyer is a good example of this. Qualcomm also has plans to use their Snapdragon CPU's in netbook style computers. Intel, with their Atom processors, are dominating the Netbook scene at the moment. The Atom only runs in single core CPU's at the moment. The Snapdragon can easily dominate this space with their dual core Snapdragon's. I'm looking forward to this new development in the future. If you look at the future of the Scorpion CPU, then Qualcomm has some real good stuff on the horizon. As you can see mobile CPU are getting stronger and faster, and might soon replace laptops in the future.